Robert George Allen, producer of the popular Haunted Vegas Tour is proud to bring you the "Goodsprings Ghost Hunt." The town of Goodsprings Nevada was founded in 1904. Nestled in the foothills of the Spring Mountains, Goodsprings was once the heart of the most productive mining districts in Clark County Nevada. Over the years lead, copper, zinc, gold, and silver have all been minded from this area. Goodsprings is currently the home of the Pioneer Saloon, considered to be one of the oldest saloons in Nevada (over 90 years old). The Saloon has been featured in the countless movies and television shows. Much of the decor that graces the the big screen sits around the saloon gallery and hangs on the walls to this day. The original newspaper clippings tell story after story of the incredible history of this saloon from yesteryears gone by. This is the saloon where famous screen legend Clark Gable drank and waited for three days at the bar for word on his beautiful wife Carole Lombard. She was lost in a plane crash on nearby Mount Potosi. You will be able to read this tragic story of her death on an original newspaper and a piece of the actual plane wreckage. Many have said Clake Gable was never the same man after her death. The Pioneer also houses bullet holes in the side of the building and a corner's letter describing how they were created. the old saloon is said to be "haunted" by the gun shot victim's ghost as well as the spirit of an old miner. Both ghosts have been seen by many bar employees and saloon visitors over the years. Other ghostly sighting have been experienced in and around the remains of the town as well, making it a perfect location for a ghost hunt. The many tales from the bar along with the bullet holes, the ghosts the pot bellied stove and the old newspaper clippings are just a few of the thing that will keep you immersed in the exciting era of the Wild West. The Pioneer Saloon has been featured on the History Chanel's program "Haunted History" Nevada and is considered to be one of Nevada's most haunted locations. Your ghost adventure begins with a 35 minute free ride from Las Vegas. During your travel you will be entertained by your professional ghost hunter/guide with stories of some of Nevada's most famous ghostly encounters. You will also view the featured episode that tell about the haunting of Goodsprings.  Upon arrival at the Pioneer Saloon you will be welcomed with a no host bar, complimentary pizza party and a tour of the saloon and historic gallery. At that time you will be outfitted with lanterns and ghost hunting equipment. 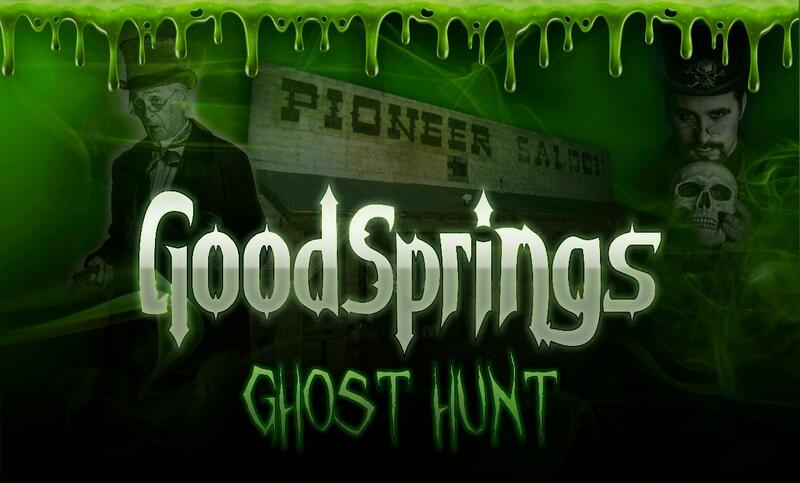 After instructions on their use it's time to hit the spooky darkened streets of Goodsprings and start your ghost hunt. The shadowy remains of abandoned miner's cabins, deserted and destroyed buildings and an old cemetery will keep your heart pumping and your adrenaline flowing, as we walk the old streets searching out the illusive resident spirits of the town. Experiments with Dowsing Rods, EMF (Electro Magnetic Field) detectors, EVP (Electro Voice Phenomena) audio recorders plus video and still photography will be conducted. If the conditions are right we may capture orbs anomalies, ectoplasm and maybe even an apparition. Upon our return to the Pioneer Saloon we will participate in a special paranormal ceremony, held to attempt contact with the ghostly duo that still inhabit the saloon today. If we should encounter a ghost remember it was once a living being and it has remained on our physical plane for some unknown reason. Maybe it has some unfinished business here or perhaps the spirit does not realize it is dead and hangs around, lost in time. Generally speaking, ghost personalities are very much as they were in life, so they could be friendly or grumpy just the we the living. Follow the ceremony we will leave the old western charm of Goodsprings and make our way back the the bright lights of Las Vegas.